To get any serious job done in the workplace, you need the proper space to avoid clutter and confusion. However, finding that furniture isn’t always so easy, and you end up spending much more than you bargained for on a bad item. Luckily, with RDM Industrial Products, this will never happen to anyone. 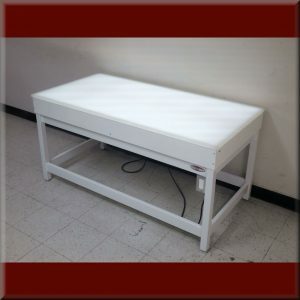 We offer an extensive selection of laboratory tables, tilting light tables and industrial workbenches that are worth every dollar. RDM Industrial Products only buys its inventory from companies that are known for their reliability and affordability, which is how we’re able to offer the best products out there for a price that is low and competitive. With that being said, our staff is here to help you customize the best furniture for your space, giving you the ability to mold any product to your liking. That way, you’ll leave knowing you bought something worth paying for. That’s what RDM Industrial Products are all about. 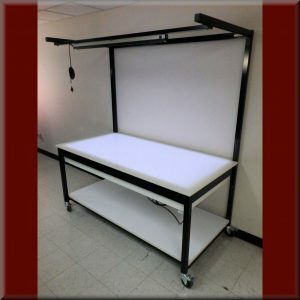 For more information on our light tables, panels and industrial workbenches, contact us today!